"Nicotine replacement therapy (NRT) is proven to be an effective aid for people who want to give up smoking but its effectiveness in pregnant women who metabolise the nicotine more quickly and hence may need high doses for NRT to be effective, has not previously been widely examined." The largest ever clinical investigation into whether nicotine patches help pregnant women quit smoking has concluded that standard dose patches do not make a significant difference to the women’s chances of giving up during the pregnancy. The major study by researchers from The University of Nottingham’s UK Centre for Tobacco Control Studies (UKCTCS) and School of Community Health Sciences is published in the prestigious international journal, The New England Journal of Medicine. The research was funded by the National Institute for Health Research Health Technology Assessment (NIHR HTA) programme. Leading the study, Professor Tim Coleman from UKCTCS said: "We think our findings are hugely significant. Smoking in pregnancy is the leading preventable cause of morbidity, death and health problems among women and babies. We hope our results will inform future health care policy and guidelines in the field of smoking cessation during pregnancy. Clearly standard dose nicotine patches do not work in pregnancy as well as they do in the general smoking population. More research is needed; higher dose patches might be effective, but women would also need to be persuaded to use these for longer and research into other ways to help pregnant women give up is also needed." Nicotine replacement therapy (NRT) is proven to be an effective aid for people who want to give up smoking but its effectiveness in pregnant women who metabolise the nicotine more quickly and hence may need high doses for NRT to be effective, has not previously been widely examined. NRT is regularly prescribed to women who are pregnant and advised to quit but there has also been little research to date, into possible adverse effects from nicotine replacement on the mother and unborn child. 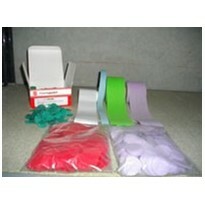 The large randomised trial of nicotine patches in pregnancy was carried out between May 2007 and February 2010. 1050 women between the ages of 16 and 50 and between 12 to 24 weeks pregnant were recruited from antenatal clinics at seven hospitals in the East Midlands, Stoke and Cheshire. All smoked ten or more cigarettes a day before they were pregnant and five or more cigarettes after they became pregnant. 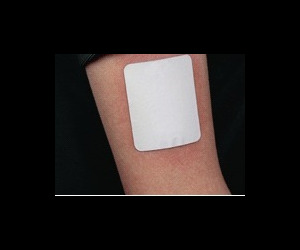 521 women were randomly assigned to eight weeks of nicotine replacement patch therapy and 529 to placebo (visually identical dummy) patches in a double-blind trial to assess the effectiveness and safety of standard-dose therapy of a daily 15 mg/16 hour nicotine patch. Smoking during pregnancy is a known cause of miscarriage, premature babies, low birth weight, congenital abnormalities and neonatal death. The safety of the nicotine patch therapy during pregnancy was assessed by monitoring for these adverse pregnancy events and birth outcomes. All the volunteers received support counselling from midwives involved in the research project and agreed to set a quit date within the following two weeks. The women were given a four week supply of skin patches, either placebo or nicotine, to start on the agreed quit date. Four weeks after starting therapy the women who had managed to maintain abstinence and passed an exhaled carbon monoxide test were offered another four week supply. Three telephone counselling sessions were also offered to participants, one on the quit date, one three days later and a third at four weeks. Additional support was also offered from local NHS stop smoking services. The results of this unique trial showed there was no significant difference in the rate of abstinence between the nicotine replacement and placebo groups from the quit date until delivery of the baby. The rate of clinically proven and successful abstinence until delivery was 9.4% in the nicotine group and 7.6 per cent in the placebo group. The researchers deemed this difference non-significant within the metrics of this study. The proportion of women who managed to adhere to the programme was low: only 7.2 per cent of women using nicotine patches and 2.8 per cent of women using placebo patches adhered to the therapies for more than one month. The rates of adverse pregnancy events and birth outcomes were similar in the two groups. For singleton births, i.e. not twins, mean birth weight and rates of preterm birth, low birth weight and congenital abnormalities were similar in the two groups. However, although there were significantly more caesarean deliveries in the nicotine group than the placebo one, this is likely to have occurred by chance. This clinical trial was four times the size of the largest previous study in this area but the results largely mirror the indications set by previous research. The findings suggest that guidelines for healthcare professionals for smoking cessation in pregnancy should be revisited and should principally encourage the use of patient support methods like behavioural support which is proven to be effective in helping pregnant women quit smoking. The NIHR Health Technology Assessment (HTA) programme said: "We are delighted that the findings of this HTA-funded project have been published in the New England Journal of Medicine. The NIHR HTA programme commissions research about the effectiveness, costs, and broader impact of health technologies for those who use, manage and provide care in the NHS." The full report, A randomised trial of nicotine-replacement therapy patches in pregnancy, is published in The New England Journal of Medicine on March 1 2012. Visit the HTA programme website for further project information. The views and opinions expressed are those of the authors and do not necessarily reflect those of the HTA programme, NIHR, NHS or the Department of Health.